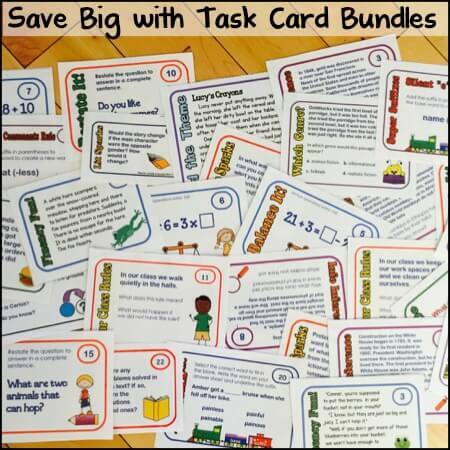 Today, Marine from Tales from a Very Busy Teacher is our guest blogger. She’s sharing how she has successfully implemented strategies for teaching academic language in her classroom. 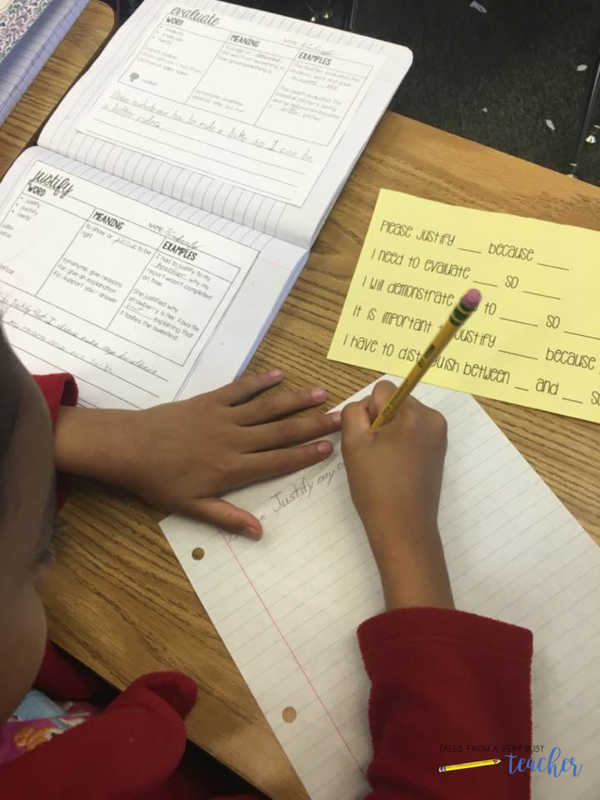 Academic language is (and has been) making a big impact in elementary school classrooms. 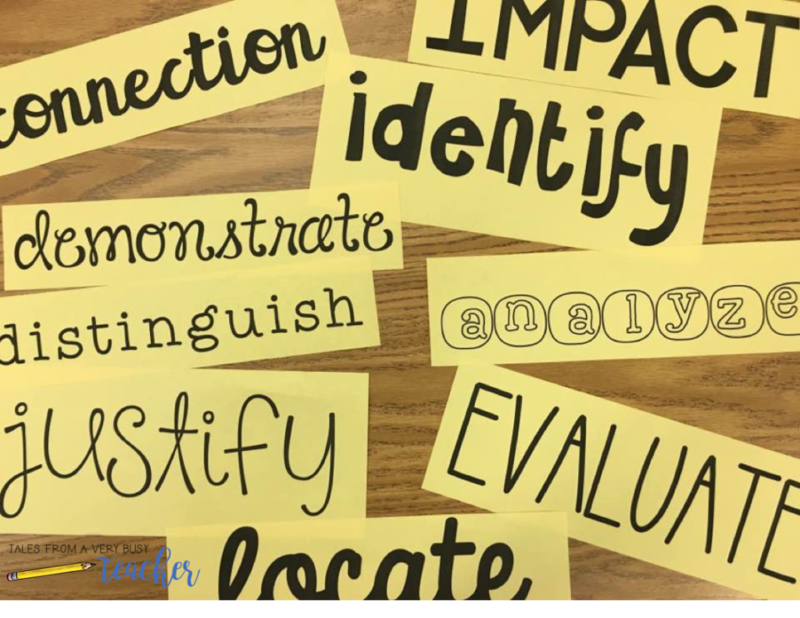 Academic language gives students the skills to communicate, engage, and participate more effectively in content areas across the curriculum. 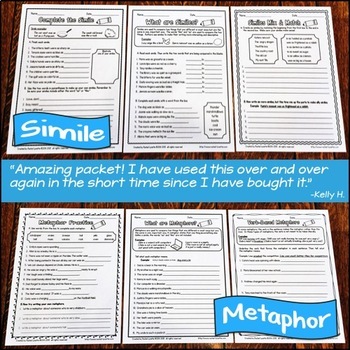 After learning about academic language through reading educational studies, attending professional development seminars, and collaborating with my colleagues, I figured out a way to help my students not only learn the words for academic language but also understand the words and use them way after the lessons are over. 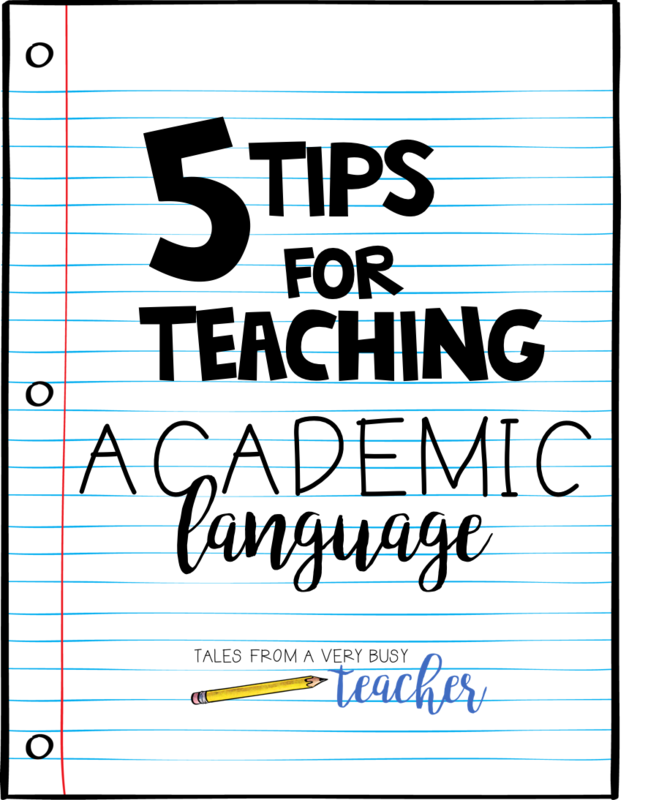 Here are five ways you can use academic language in your classroom. 1. 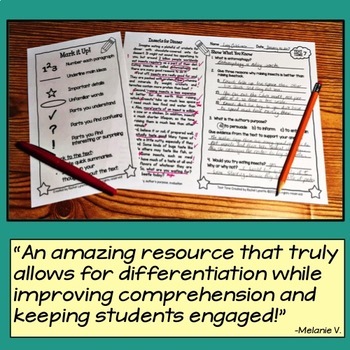 Teach one word at a time in an explicit direct instruction format. 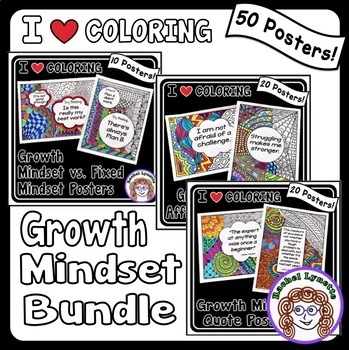 I take about 30-40 minutes to teach a direct instruction lesson on what the word means, how to use the word in a sentence, and the why behind learning that specific word. I have been doing about two words a week, and I have been trying to integrate these lessons into my speaking and listening time. Teaching an explicit lesson with each word is crucial to students’ understanding of that word. It can’t be done in a “here’s the word, look up the definition” format. It must be taught directly. 2. 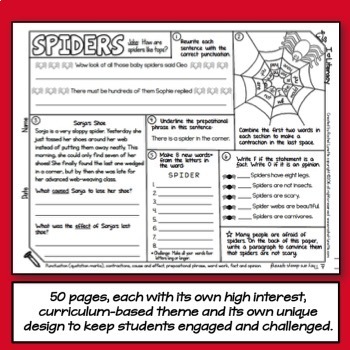 Equip your students with sentence frames they can use for discussion, writing, and collaboration. 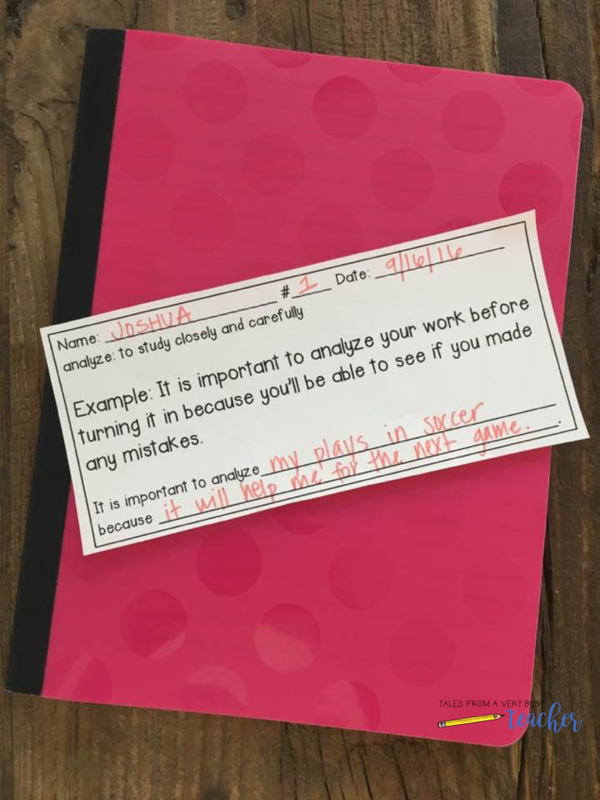 I created little sheets with sentence frames that my students could use throughout the school day. 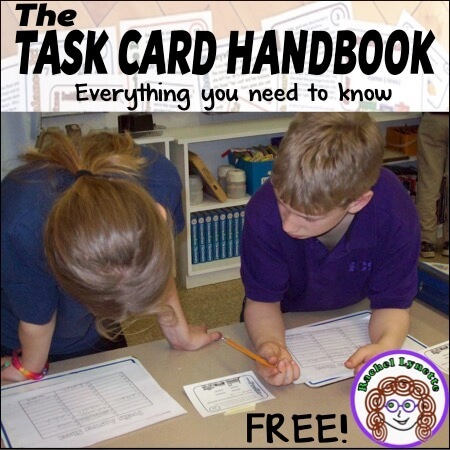 They can be placed into interactive notebooks (for speaking and listening or academic language), or they can be placed on top of their desks for quick access during lessons in different content areas. The sentence frames provide my students with parameters for their speaking. 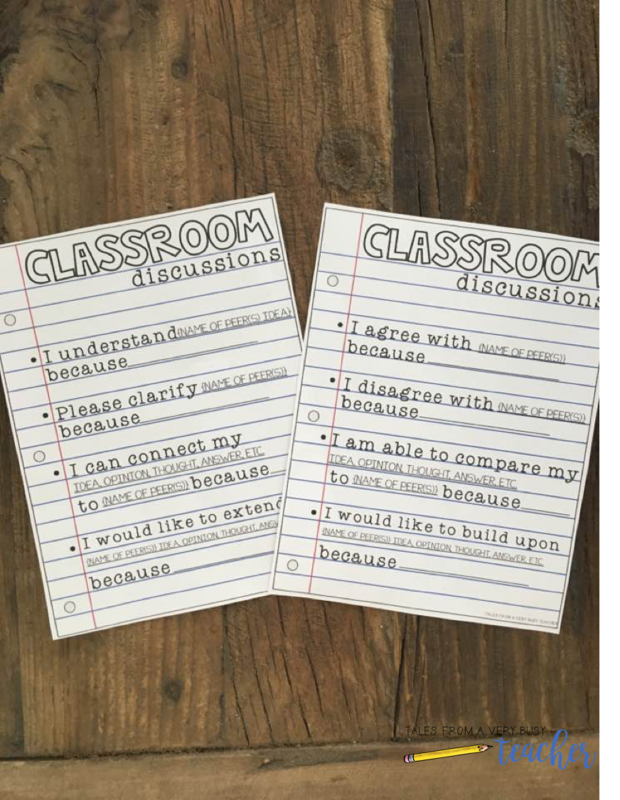 It’s really uplifting to hear students using these frames during their conversations with each other, during lessons, or just in non-structured interactions. 3. 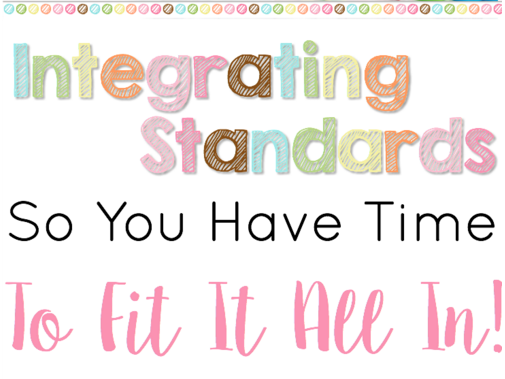 Integrate academic language into your daily practice through content areas. One of my colleagues asked me, ”What do you do when you’re done teaching all of the words?” I thought it was a great question! After teaching the lessons where students learn and gain practice with the words, what do you do? Well, as the classroom teacher, it’s important to integrate academic language into your daily classroom practice. 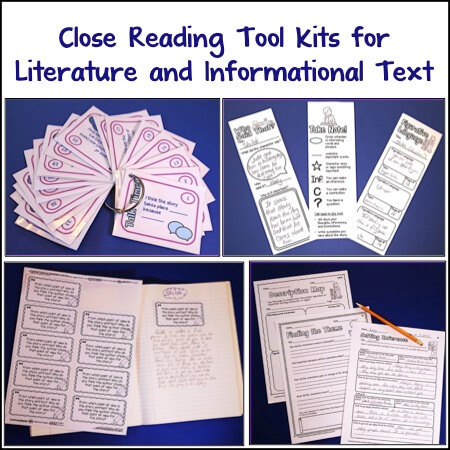 Use the words in your objectives for other lessons, use the words in classroom discussions, and ask students to use them in their writing across disciplines. 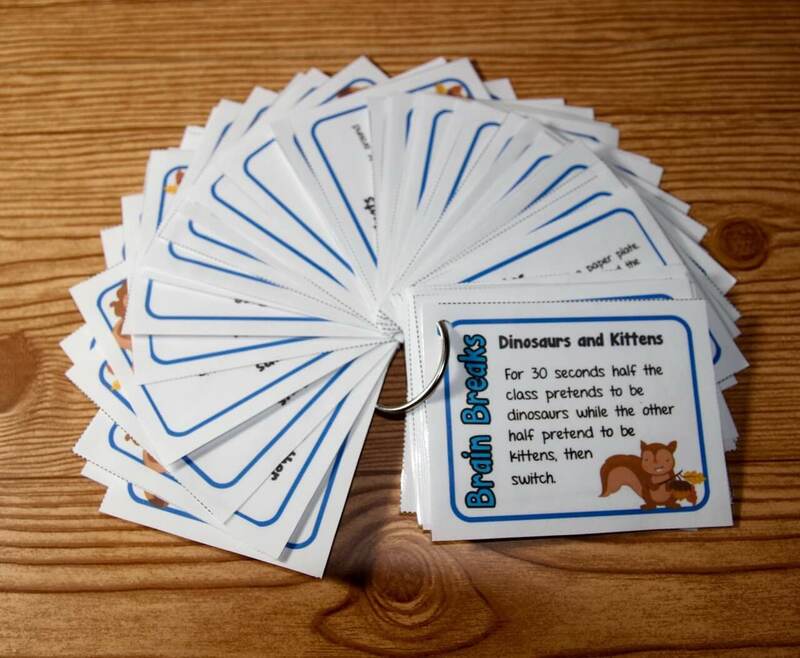 I also use academic language tickets to have students practice the words after lessons have been taught. I use them for tickets out, as morning work, or as independent practice. Just because you teach the lesson, doesn’t mean you or your students are done with the word. It’s important to continue the practice throughout the year. 4. 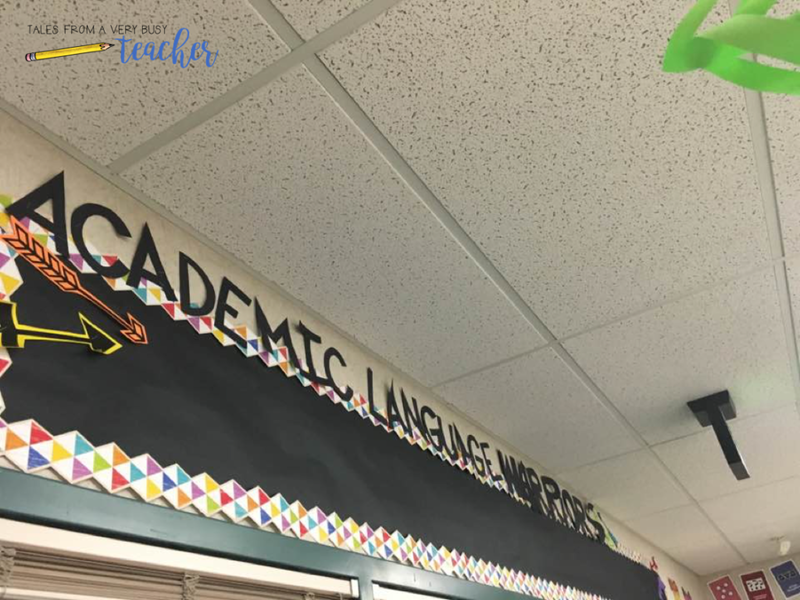 Make a wall of academic language words. Every time I teach a lesson, I add my word posters to my academic language wall. This is a simple reminder for students. It reminds them of the words they’ve learned, how to use those words, and to think about those words across disciplines. 5. 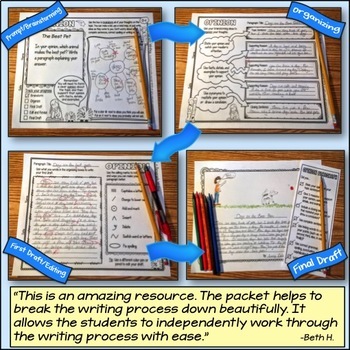 Have your students make a journal of academic language words. 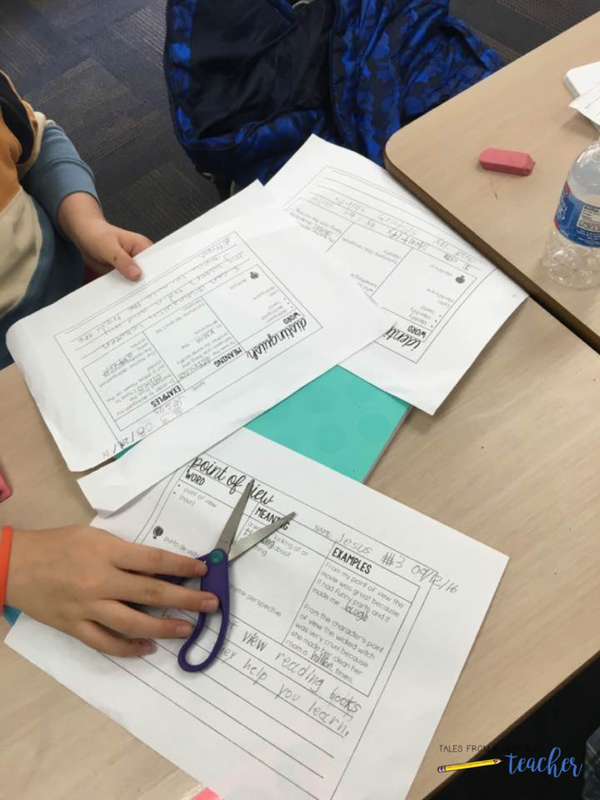 After I teach my academic language lessons, I have students cut out the chart they filled out during the lesson, and they glue that chart into their academic language notebook. 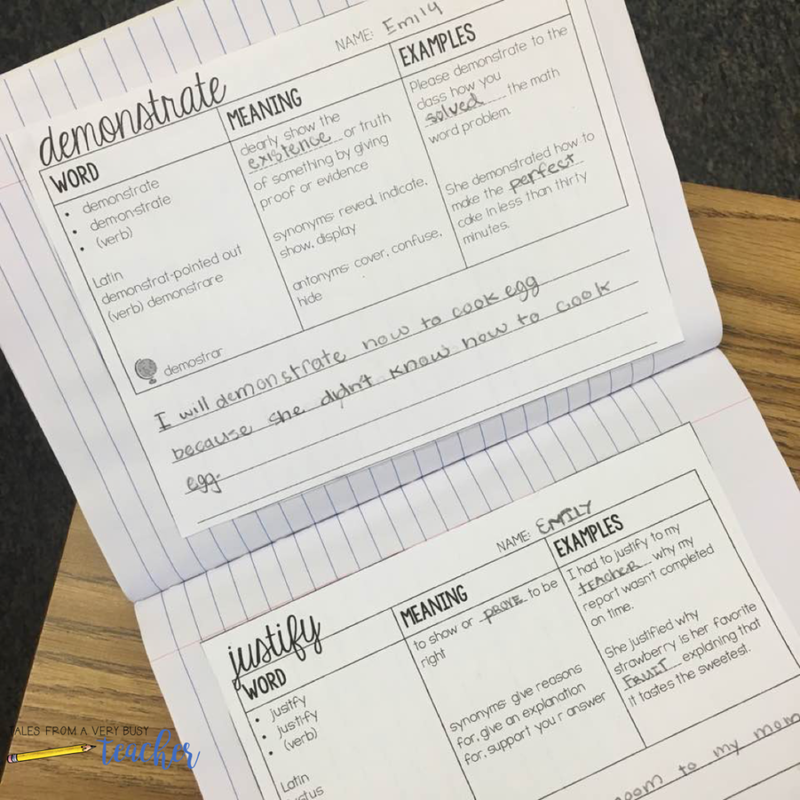 As students accumulate the word charts, their academic language notebooks become an academic language dictionary they can use throughout the school year. 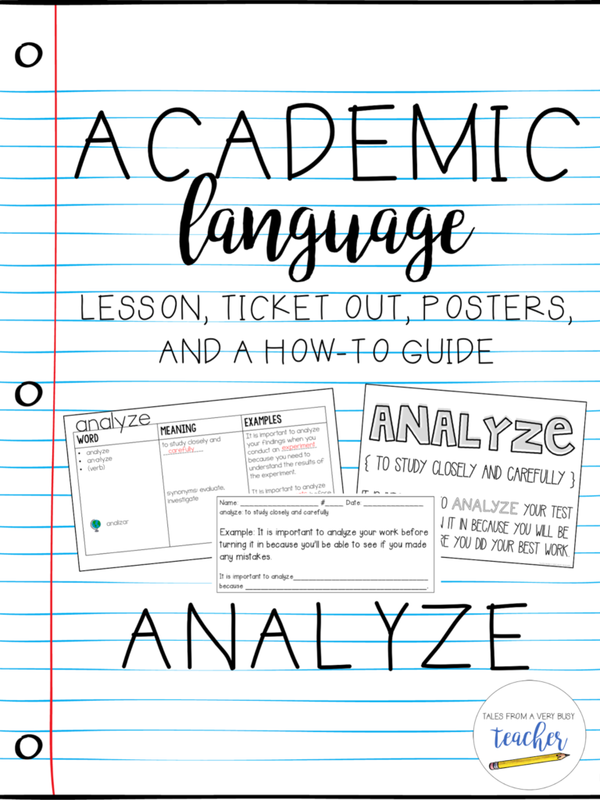 Using academic language in your classroom will prepare your students for future academic success. Implement these five strategies to help your students reach those goals. 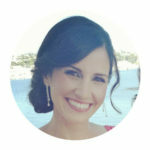 Marine Freibrun is a 3rd grade teacher in Southern California. 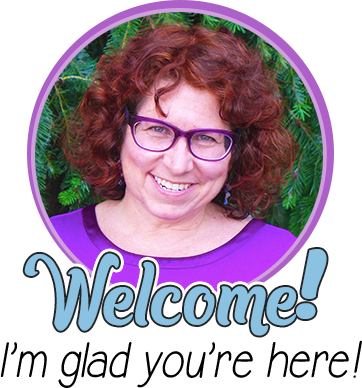 She is also the author and creator at Tales from a Very Busy Teacher. Marine has taught 2nd, 3rd, 5th, 6th, and 8th grade. She has her Masters in Educational Leadership, and serves on a variety of leadership committees for her district. 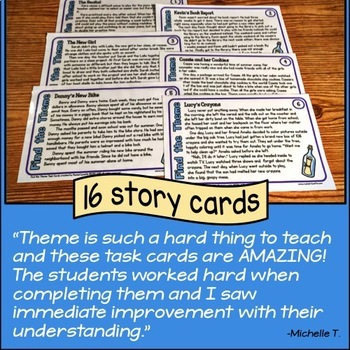 Stay up do date on Marine’s resources by following her Tales from a Very Busy Teacher blog, TpT store, Facebook, and Instagram. Thank you for sharing this great strategy. HI. 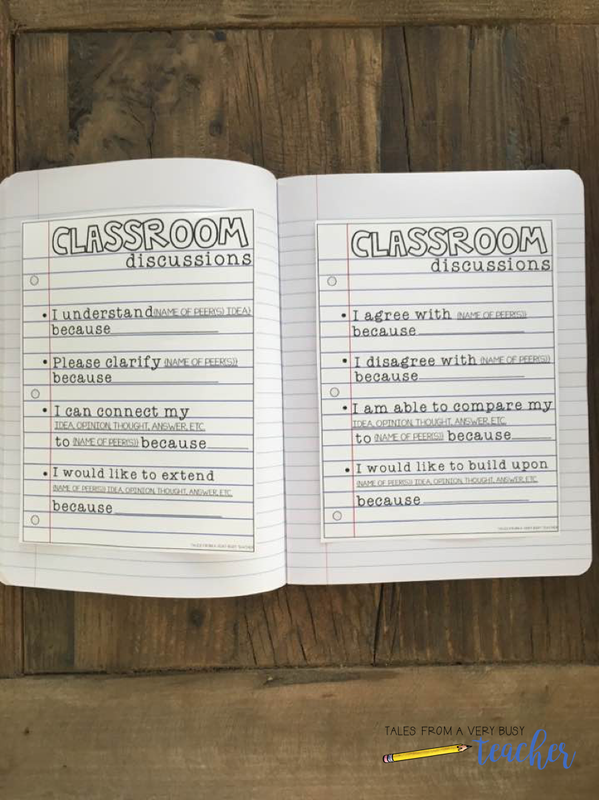 I work with beginning teachers in grades K-12 and am curious about your recommendation for the academic language notebook? Can you also point me in the direction of the samples you showed in this post? Thanks!